Sophie's life changes the moment five brothers move into the house next door. Irresistibly drawn to bad boy, Nic, she finds herself caught between two warring underworld families: her own and the one she is falling in love with. Whichever side she chooses, a debt of blood will spill and hearts will break. Catherine Doyle's debut YA novel, Vendetta, is inspired by Shakespeare’s Romeo & Juliet and classic Mafia culture. It takes place in modern-day Chicago, where Catherine’s mother grew up. Catherine first had the idea for VENDETTA when drifting off to sleep one night, when five brothers popped into her head and have stayed there ever since. 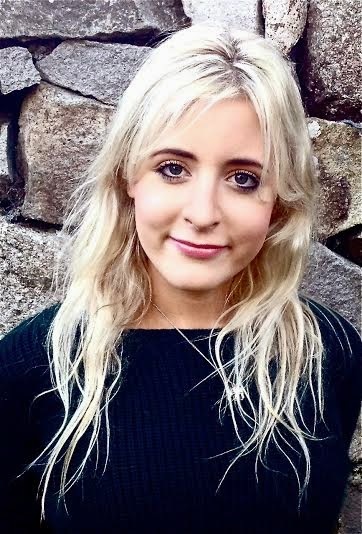 Catherine Doyle was born in Ireland in 1990, she lives in Galway and is available for interview and events. I love when authors blog about what they would say to their characters if they could have a conversation with them. I've thought about this too and have come up with a few kernels of wisdom for my unruly fictional people. Admittedly, if they actually heeded any of this advice, my story would be a lot less exciting, so I’m glad it’s all being discussed in the hypothetical realm! Sometimes people do bad things because they have to, and sometimes people do bad things because they want to. Learn to tell the difference, and don’t waste your time on the latter. Life is for living, not avenging. Also, chill out a bit more. Where you come from doesn’t have to define who you become. Don’t let yourself become the mask you wear. Don’t accept Dom’s apology. And don’t let your main focus in life be about not being alone. You’re a good friend. Money comes and goes, but you only get one family. Prioritize better. I love this. I am really enjoying this book at the moment.